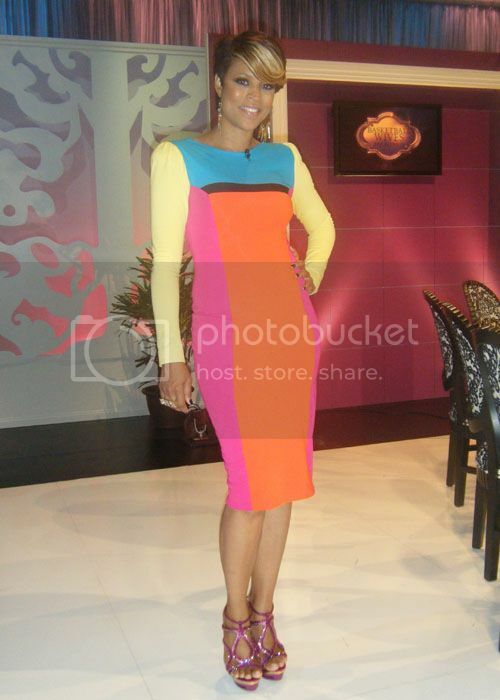 Lynnette Joselly: Who Was Best Dressed at the "Basketball Wives" Reunion? 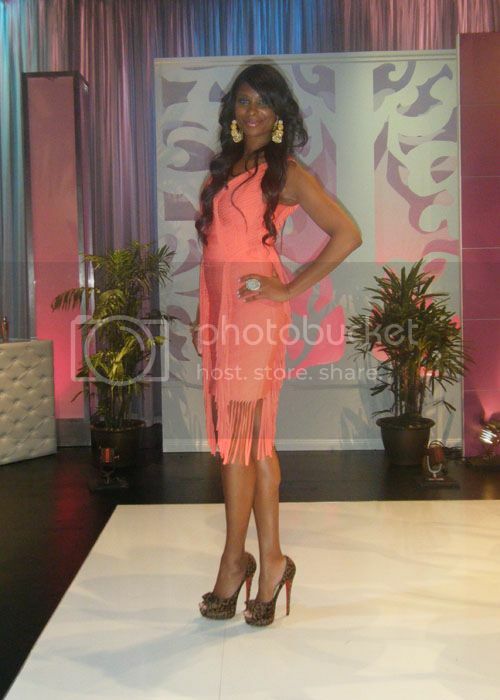 Who Was Best Dressed at the "Basketball Wives" Reunion? We have all become fans of the dramatic reality TV Show Basketball Wives in which the reunion show aired on Monday. There was no water throwing this time but still the usual yelling and bitchy attitudes. On to fashion.. I must say all the girls looked fabulous.. but the question is who do YOU think was the best dressed and finally... who is the Non-Mothaf*ckin' factor?? Suzie: Petal Alexandria Herve Leger dress and a pair of Nicholas Kirkwood shoes. Tami: An ivory satin dress with brick red pumps with ankle buckle adjustments. Royce: Herve Leger replica dress and silver T-strap heels. Shaunie: Custom made dress by designer Nicci Hou and pink studded sandal heels. Meeka: The non-factor dress... lol jk. a one sleeve ruched black dress and black caged heels. Evelyn: “Bridgette” Herve Leger dress and blue Christian Louboutin Daffodile Watersnake pumps. Jennifer: Carolina Fringe Herve Leger dress and a pair of Christian Louboutin pumps. Question... does Christian Louboutin and Herve Leger sponsor the show...? ?